Studies show that behavioral leadership theory has an impact on employee productivity. Are your employees motivated to excel at their jobs? What is behavioral leadership theory? Modern behavioral leadership theory centers on the understanding that motivations dictate employee and team performance and productivity. Early research into this theory discovered radically different results to those that traditional managers presumed. Traditional management is dictatorial in nature (‘here’s your job, here’s how you do it, now sit and get it done for the next eight hours’). Conducting a series of studies on teams of telephone wire workers, Elton Mayo found that a group that had been given special privileges increased their productivity. These privileges included the freedom to leave their desks when they wanted, free lunches, and different pay-rates. Instead of flouting these privileges, workers stayed at their desk longer, worked harder, and produced more. What Mayo had found was the power of motivation: people felt that the company cared about them and their wellbeing, and so responded positively. Studies like those conducted by Mayo led directly to the transformation of personnel management to human resource management. Managers became more interested in their employees’ wellbeing, and rewards for good performance became a motivational force. If this were the case, then employees would respond positively to punch clocks, constant supervision, and productivity-related pay. This doesn’t explain the volunteer who works incessantly for a cause, or the executive who is ceaseless in his or her efforts 24/7. The common explanations for why people work are only a small part of the productivity answer. In its State of Human Capital report in 2012, McKinsey noted that organizations with engaged employees benefit from lower absenteeism, better quality products, improved revenue growth, and greater satisfaction of employees and customers. 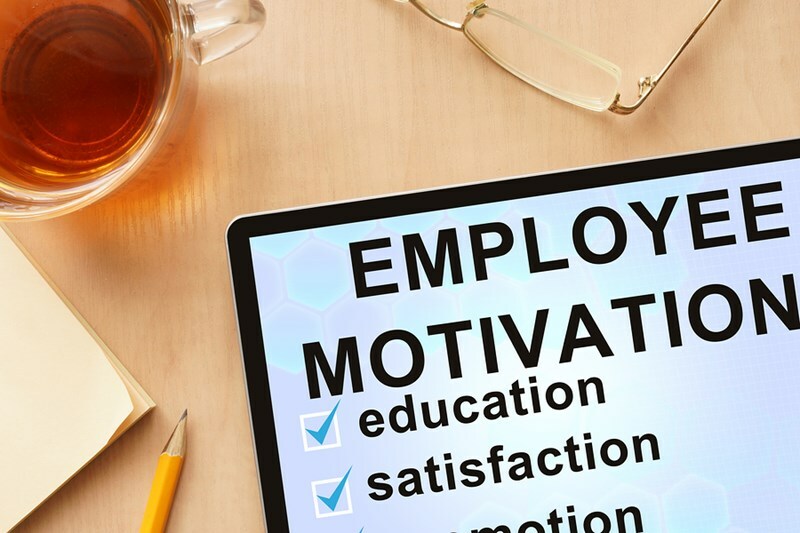 Motivation is a key driver of employee engagement, and in the same report Mckinsey points to Gallup’s estimate that demotivated and disengaged employees costs the US economy up to $355 billion in lost productivity every year. If employees feel as if they are treated as real people, rather than as robots, they will respond positively. Production increases. As we’ve already discussed, salary is important, but it is not the most important of factors. Here are four factors that behavioral leadership theory identifies as important and how to encourage them. Inspire employees to overachieve by showing appreciation of a job well done. Commit to showing support for employee education, self-knowledge, and increased emotional intelligence. Help employees to become empowered in the workplace by giving them the autonomy to make their own decisions. People crave self-esteem and respect, especially self-respect. Recognize efforts of your employees, give additional responsibility, and promote to reinforce their value to the organization. Your employees’ social needs are important to them. Isolation leads to depression and demotivation, so make sure that people are encouraged to interact at team meetings and in general work. Encourage collaboration and cooperation between employees, and be an accessible leader that is concerned about work/life balance. Contact Forward Focus today to discuss how to arm your leaders with a variety of leadership tools. We’ll help you to empower your leaders as they motivate employees to increase productivity and revenue. When Jack Welch took charge at GE, he discovered a company on the brink of bankruptcy. After putting transformation leadership theory into practice, the turnaround is legendary.